With more than 50 years in business, the name Rembrandt stands for honesty, integrity and good value. The choice of where to move is a big decision, and one that should not be taken lightly. From questions about the property to considerations of the community, it’s vital that you entrust a home builder that has the know-how and experience to do things the right way. Rembrandt Homes check off all of those boxes and more. We’ve helped countless people find the home that suits their preferences in terms of location and style as well as their budget. With an extensive number of options to choose from, including single-family homes, bungalow townhomes, detached condos, two storey and multi-level condos in locations around London and Woodstock, we’re certain that you’ll find the home of your dreams with us. Once you have moved in and you are enjoying the benefits of a modern, well-built home, we want things to continue going smoothly for many years to come. All new homes and condominiums come with warranty coverage, provided by Rembrandt Homes and guaranteed by The Tarion Warranty Corporation. The Warranty Program is a private corporation responsible for administering the Ontario New Home Warranties Plan Act, which regulates and licenses all new home construction in Ontario. As a Registered Builder, we are required to register annually with the Warranty Program and have each individual home enrolled in the warranty program. Making home ownership dreams a reality is one of the things that Tony Marsman, founder and owner of Rembrandt Homes, loves about being one of London’s largest builders. With more than 50 years in business, the name Rembrandt stands for honesty, integrity and good value. The company offers a wide spectrum of housing possibilities from entry level, to move up homes, to luxurious single floor condos perfect for the empty nester. Recognized by the London Home Builders’ Association in 2000 with the prestigious Lifetime Achievement Award, Tony’s contribution to the Association, the Housing Industry and in giving back to the community has made him an inspiration to his fellow LHBA members. Each year, in recognition of outstanding contributions and ethics in business, Hall of Fame Laureates are selected by respected members of London’s business community, and celebrated at a Gala hosted by Junior Achievement. Tony Marsman was named Laureate 2013 and inducted into the London and District Hall of Fame. In his acceptance speech, Tony was quoted as saying “I truly believe success is about far more than how much money you have in the bank. You don’t need money to be of service to others.” Tony Marsman is well known for his involvement with Bethany’s Hope Foundation. Rembrandt Homes have an ongoing commitment to the research into a cure for Metachromatic Leukodystrophy and is a principal sponsor of their major fundraisers. Additionally, Tony and his wife, Abbe, continue to support the research foundation and Bethany’s Hope with ongoing projects in the hope that they will see a cure for this disease in their lifetime. More recently, Tony Marsman has also become involved with fundraising for the Parkinson Society of Southwestern Ontario by sponsoring various events, such as the annual Parkinson Golf Classic Presented by Rembrandt Homes. An agile competitor who identifies niche markets and makes sound business decisions, Tony has solidified Rembrandt’s position as a leader in the new home industry. With its solid team of professionals, Rembrandt Homes are committed to bringing new and innovative ideas to the marketplace, and to creating solid communities for family living. Living in a home built with features to improve comfort is what we all look for when purchasing a new home. An ENERGY STAR certified home delivers just this, a home that you want to live in and enjoy. Features such as energy-efficient windows and higher insulation levels, help to improve the overall comfort of the home and create more balanced temperatures. This is beneficial during hot and cold seasons when you want your home to be at a temperature more comfortable than what it is outdoors. Inside your new home, it is quiet and calm and as you take a breath and relax after a long day, the indoor air is refreshing. There is a device installed in your ENERGY STAR certified home that is exchanging the stale indoor air with outdoor filtered air. When built to the latest standard, an ENERGY STAR certified home is about 20% more energy efficient than a typical home. Imagine all of the energy being saved and used conscientiously if every home was certified as ENERGY STAR. It happens every year, as the weather gets warmer, homeowners start cleaning out their homes and one-by-one “For Sale” signs pop-up. Will your home stand out when you decide to sell one day? An energy-efficient home may provide appeal for potential buyers. Prospective buyers look for homes that will be comfortable and save them money. Does the home have newer windows? What about the furnace? With an ENERGY STAR certified home you have Energy saving features like high-performing windows and heating and cooling systems are attractive features for future buyers. Energy-efficient windows, doors, and skylights, help to save energy. At Rembrandt Homes, we’re committed to doing the most that we can for the communities that support us. Not only does this allow us to help our valued customers, but it’s truly rewarding for us to be able to give back. Rembrandt Homes is proud to have sponsored a number of minor league hockey, baseball and soccer teams in the London area. We’ve been honored to show our support in the community by providing funding to research MLD (Metachromatic Leukodystrophy), which is a rare neurological condition that can affect children during their infancy up until their teenage years. Tony Marsman, our President, is a principal sponsor of the Bethanys Hope Foundation. Since 2008, we’ve been proud to show our support every year to the Christmas Drive which supports our community. So far, in conjunction with the efforts of our employees, trades and suppliers, we’ve raised more than $100,000. Additionally, we’re proud to sponsor a variety of events with the Salvation Army. At Rembrandt Homes giving back and showing our support to the community through engagement and donations is part of who we are as a business. It’s our mission to influence other companies and business to give and show support when they can. It is our privilege to have the opportunity to do so. We proudly donate to help better the lives of children who are living in Haiti and the Dominican Republic. Some of our employees’ families have even traveled to the Dominican Republic to help build and complete a youth development centre. We raise money to research MLD (Metachromatic Leukodystrophy), which is a rare neurological condition which can affect children from infancy through the teenage years. Tony Marsman, our President, is a principal sponsor for Bethany’s Hope Foundation. Every year since 2008, we’ve raised money for the Christmas drive. So far, in conjunction with the efforts of our employees, trades and suppliers, we’ve raised more than $100,000. 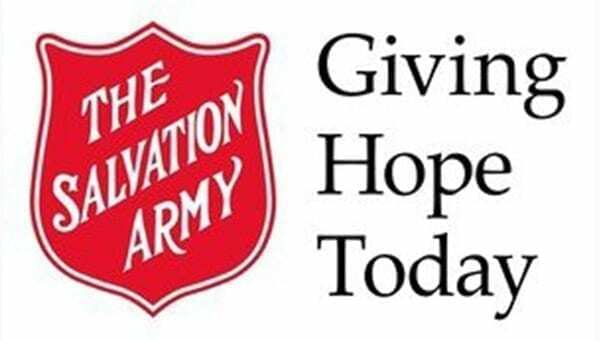 Additionally, we’re proud to sponsor a variety of events with the Salvation Army such as the Hope in the City Breakfast. The annual Parkinson Golf Classic Presented by Rembrandt Homes is a wonderful day of golf in support of the Parkinson Society of Southwestern Ontario. The day includes an 18-hole scramble on one of London’s finest courses, a BBQ lunch, a buffet dinner and a silent auction. Merrymount Children’s Centre focuses on helping children by supporting their families in times of crisis and transition. Rembrandt Homes is a proud donor and 2018 Awareness Project Partner. Rembrandt Homes is a supporter of the Brain Tumor Walk by the Brain Tumor Foundation of Canada working to raise funds for life-changing research, support programs, and hope for individuals and families suffering from Brain Tumors.